The start of a New Year is always a popular time to set common resolutions such as losing weight. However, making a resolution to lead an overall healthy lifestyle is much more beneficial, and there are so many creative ways to do it! Getting healthy often starts in the kitchen… here are some suggestions for incorporating healthful ingredients into your diet. For example, try coconut, avocado or grape seed oil. These oils are healthier alternatives to oils that contain high trans fats. Coconut oil works great as a butter substitution in items such as piecrust, scones and icings. Avocado oil is perfect for high-heat cooking like grilling and pan roasting and tastes excellent in salad dressing. Try grape seed oil if you don’t want to taste the oil in your dish such as when sautéing onions or baking sweet potato fries. Pack a punch with lean protein. When most people think of lean protein, boneless, skinless chicken breast might come to mind, but there are so many more options! Fish is an excellent source of protein, as are eggs, low-fat dairy products like yogurt, beans and legumes as well as nuts and seeds. 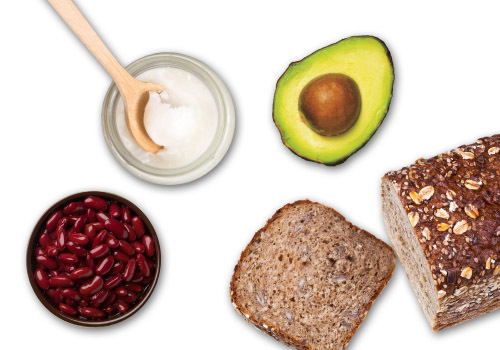 All of these high-protein foods make you feel fuller longer, causing you to eat less. Ah, “healthy fats.” That’s not just an oxymoron. These actually do exist. An average avocado contains 30 grams of fat, but it’s mostly monounsaturated or “good fat.” This type of fat has been found to actually lower cholesterol levels, so start swapping out the mayo topping for a few slices of avocado. Other “healthy fats” include those found in nuts and seeds as well as fatty fish like salmon, tuna, trout and mackerel. Not all wheat breads, rice and oat products are made from whole grains. When at the grocery store, look for the words “whole grain” in the ingredient list. Fiber-rich whole grains deliver far more nutrients than refined grains and it’s easy to incorporate into your meals. Making vegetable soup? Add barley to the pot. Favorite pasta dish? Replace the pasta with whole grain fusilli or penne. Need croutons to top off a salad? Toast and break up whole grain bread instead of using packaged croutons.